It’s a bit of an unusual one. In all my time at TNW, I don’t think I’ve ever written a blog about a podcast I’ve been listening to, but hear me out. I’m a big fan of Gimlet Media’s StartUp podcast. This week, it’s been following StartupBus: a five-day hackathon on wheels, where coders build new companies while making their way from New York City to New Orleans. And yes, it’s my current podcast obsession. What struck me the most is that, as someone who has participated in several hackathons, everything sounded really familiar to me. Sure, the setting was different; most hackathons I’ve experienced took place in unheated function rooms or offices, not six-wheeled busses. But the mundane stuff could have happened anywhere. The pivot-after-pivot, as the participants flesh out a half-baked idea into something that’s actually viable. The interpersonal drama, which inevitably happens as strangers try to become a cohesive team. The constant, pervasive pressure to get stuff done and build a working product. It’s nail-biting stuff, and makes for compelling podcasting. The show’s host, Eric Mennel, does a really good job of getting into the heads of the participants and exploring their individual motivations for taking part. 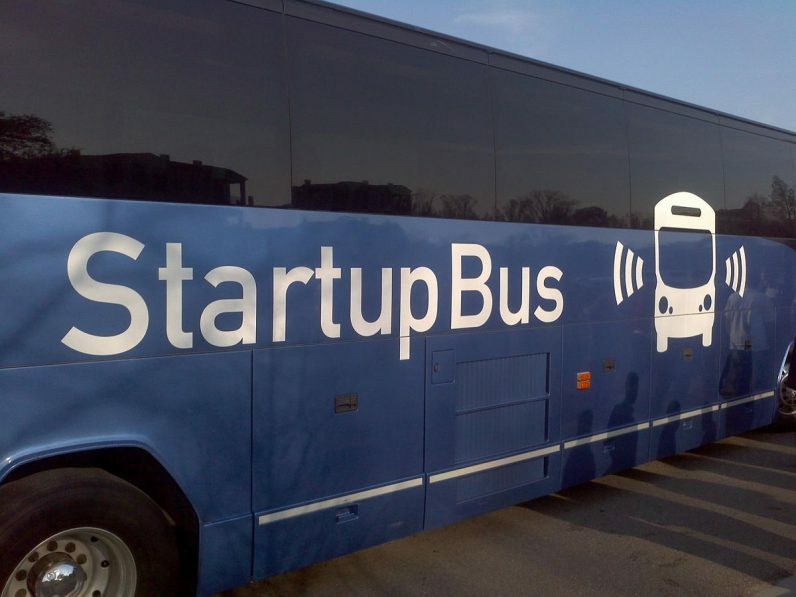 Gimlet Media staggered its reporting of the StartupBus competition as a five-part series, with episodes released each day this week. Perhaps it’s a good thing I’m blogging about it on Friday, after the last episode has dropped, because it’s just weirdly bingeable. I haven’t listened to a podcast this addictive since Serial, or perhaps Jon Ronson’s The Butterfly Effect. You can subscribe to the StartUp Podcast via iTunes here. Thank me later. And if you’ve got a podcast recommendation to fill the StartupBus-shaped hole in my life, feel free to drop me an email.